While he first burst onto the scene as a music artist, 50 Cent has quickly become just as influential in the world of business. The man born as Curtis James Jackson III joined the long line of artists with their own headphone line, founding Studio Mastered Sound (SMS) last year, which has rung up strong sales at retail. 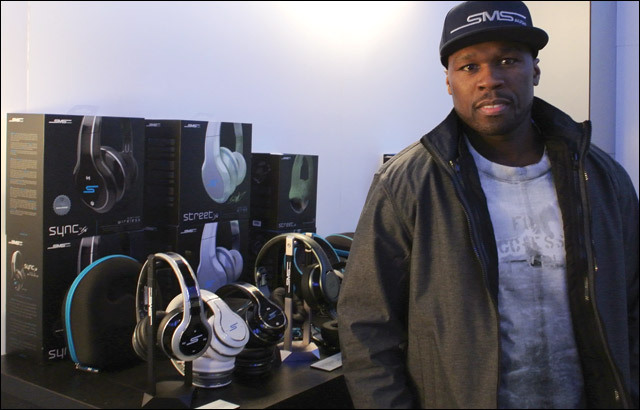 At this year’s Consumer Electronics Show, he introduced Street by 50, a new high-end line ranging in price from $180 to $300.